ToyotaYaris I 50kw 2000. Scatola Fusibili. CODICE FISCALE O PARTITA IVA. RAGIONE SOCIALE. INFO FATTURAZIONE. INFO MATERIALE. BODY COMPUTER SCATOLA FUSIBILI TOYOTA YARIS. - NON accettiamo il reso per incompatibilità dell’oggetto con il vostro veicolo, in quanto in ogni annuncio vengono specificati i relativi codici. REGOLE SULLA RESTITUZIONE. Toyota Rav 4. Scatola Fusibili. CODICE FISCALE O PARTITA IVA. RAGIONE SOCIALE. INFO FATTURAZIONE. INFO MATERIALE. MONTA SU TUTTE LE TOYOTA AURIS PRODOTTE DAL 2006 AL 2010 E MOLTE DAL 2011 AL 2013. RICAMBIO ORIGINALE DI PRIMA INSTALLAZIONE TOYOTA. Scatola Fusibili per Toyota Yaris 1 Serie 50kw cod. motore: 1SZFE. Fusibili e relè in regalo. Acquista in sicurezza ! Per tutti i componenti elettrici o con parti elettroniche è importante sapere che potrebbe essere necessario il servizio di CODIFICA/SCODIFICA da parte di operatori del settore (elettrauto - tecnici autorizzati) quindi con dei costi aggiuntivi. Essendo il ricambio usato potrebbe presentare leggeri segni di usura. CI TROVIAMO A GRICIGNANO DI AVERSA ALLA ZONA ASI AVERSA NORD LOCALITA CESINA. (hidden numbers wont be answered). Centralina rele scatola fusibile per Toyota Auris 2007-2010. Ricambio originale Toyota usato. Foto prodotto originale venduto. 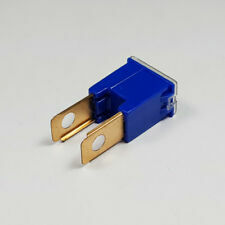 Centralina scatola fusibili per Toyota Rav4 Mk2 2000-2003. Ricambio Toyota originale usato. Foto prodotto originale venduto. 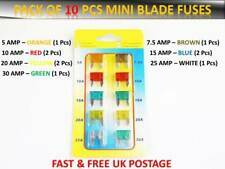 High Quality PAL Male Fuses. We operate a dispatch policy to ensure your parcel will be processed within 24 hours. Cod: 7019TA1. 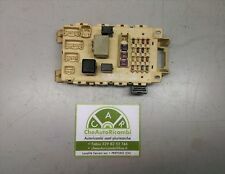 Centralina scatola fusibile per Toyota Corolla E120 2000-2007. Ricambio originale Toyota usato. TOYOTA CELICA 1994 1999 1.8 GT 2P 7AFE BLOCCO REGOLAZIONE RETROVISORI ESTERNI. NON CI ASSUMIAMO ALCUNA RESPONSABILITA' IN CASO DI USO IMPROPRIO O DIVERSO DEGLI OGGETTI VENDUTI. GLI OGGETTI ACQUISTATI DEVO ESSERE INSTALLATI SOLO DA PERSONALE QUALIFICATO. NEL CASO SI VERIFICASSERO PROBLEMI DI QUALSIASI GENERE NON ESITATE A CONTATTARCI! CENTRALINA PORTA FUSIBILI. TOYOTA YARIS VERSO. 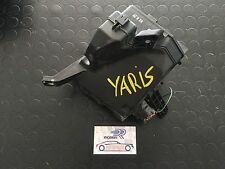 Toyota Yaris MK1 (NCP20) 1.3 16v Petrol 2003 Fuse Box (#2607). 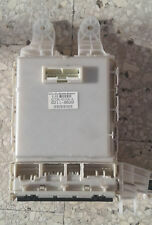 Toyota RAV 4 3dr 2.0 1999 Fuse Box Blm2. Condition is Used. Dispatched with Royal Mail 2nd Class. 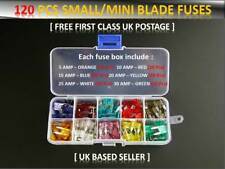 12 micro fusibles news fuse auto car MIXTE MIXED. en sachet zippable. 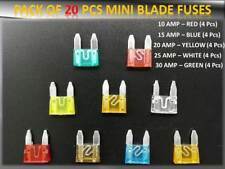 5 micro fusibles news fuse 7,5A auto car. TOYOTA YARIS 1.3 Benzina SOTTO COFANO QUADRO Dei Fusibili, Scatola dei fusibili 2015 a 2017. AB 31 to AB 38, AB 40 to AB 56, IV 1 to 28, IV 30 to 32, IV 36 & 40, IV 52 to 54, IV63, KW 1 to 14, PA 21 to PA 38, PH 4 to PH 41, PH 49, PH 50. HS, IV 41 to 49, IV 51, 55 & 56. KA 27 & 28, KW 15 to17. 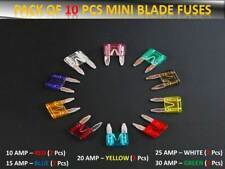 High Quality PAL Female Push In Fuses. We operate a dispatch policy to ensure your parcel will be processed within 24 hours. Toyota MR2 MK2. Should fit all MR2s MK2's 1989-1999. The engines in the MR2's that we get are 3SFE, 3SGE & 3SGTE - We do not get the 5SFE Engine therefore i know nothing about it. Fuse Box & Relays. Relays arein good clean condition. Toyota MR2 MK2. Will fit all MR2 MK2's 1989-1999. (item is located above the bonnet opener lever). The engines in the MR2's that we get are 3SFE, 3SGE & 3SGTE - We do not get the 5SFE Engine therefore i know nothing about it. TOYOTA PRIUS MK3 ZVW30 XW30 2010-2015 1.8 HYBRID PETROL UNDER BONNET FUSEBOX RELAY BOARD IN GOOD USED CONDITION. We do not cover any labour or garage fees or any other expenses caused if the item appears to be faulty. ANY FAULTY ITEM WILL NEED TO BE REPORTED TO US WITHIN 24HR AFTER RECEIVING. IV, HS, KA27-28, KW, PA20-49, PA60-78, PH17-26, PH30-44, ZE, BT, IM, TR21-25, AB, GY, JE, SCOTTISH HIGHLANDS. Toyota MR2 MK2 SW20. The engines in the MR2's that we get are 3SFE, 3SGE & 3SGTE - We do not get the 5SFE Engine therefore i know nothing about it. Fuse Box & Relays. Wire have been cut. Our cars are right hand drive.again I take no responsibility for any muddle up with Left Hand Drive Cars. Toyota MR2 MK2. The engines in the MR2's that we get are 3SFE, 3SGE & 3SGTE - We do not get the 5SFE Engine therefore i know nothing about it. Fuse Box & Relays. 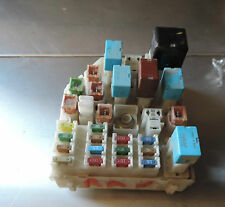 All relays and fuses are in good working condition. Other Part Number 120Pcs. Other Part Number FUSE BOX. Manufacturer Part Number Does Not Apply. EAN Does not apply. TOYOTA COROLLA E12 2.0 D - 4D 2003 scatola dei fusibili e relè INEGRATION DENSO. Custom Bundle No. Taken From The Model:Toyota Prius Plus 1.8 vvti Hybrid Hatchback 2012. Apex Car Breakers Ltd. Engine number2ZRU524545. Fuel typePetrol/Hybrid Electric. An item has been previously used. Number of doors5. Aus Fahrzeug Toyota Auris 2,0 D-4D. komplett wie Bild, guter Zustand und voll funktionstüchtig. speziellen Markierungen und teilweise auch mit Plomben versehen, bei Beschädigung oder Entfernung dieser. Taken From The Model:Toyota Prius 1.8 Petrol Hybrid CVT Auto 5 Door Hatchback 2010. Model: PRIUS T4 VVT-I Manf Date Make: TOYOTA Gears: 1. Apex Car Breakers Ltd. Trim Type: 5 DOOR HATCHBACK Reg Date: 10-02-2010. T4 di 2007 TOYOTA AVENSIS 2.2 D4D 34.740 MILES. PUÒ ANDARE BENE ALTRI VEICOLI TOYOTA. EAN Does not apply. Código interno: 806919. Caja reles / fusibles TOYOTA AURIS Hybrid Active, Año: 2010, Observaciones: Patilla rota. Wir können es überprüfen. Nous pouvons le vérifier. PART NUMBER:89221-0F020. WE HELP YOU FOR A HASSLE-FREE, SIMPLE AND EFFICIENT WAY TO HANDLE ANY ISSUES. WILL FIT C1 AND AYGO TOO. HERE I HAVE A 2010 PEUGEOT 107 1.0 PETROL BREAKING FOR PARTS YOU ARE BUYING THE UNDER BONNET FUSE BOX AS PICTURED. S G MOTORSPARES. Removed from 2005 TOYOTA AVENSIS T4 MK2 Saloon 4 Door 2005 D4D Diesel Car ( 2003 - 2009 ) Models 2.2 cc TURBO DIESEL. All Models MK2 AVENSIS. With Aux Fuse Box And Harness With Covers ( No Relays or Fuses ) We Have Cut The Main Harness But Left The Secoundery Harnes Conected To The Secound Fuse Box.